The dining scene is more competitive than ever, which makes it vital to improve the customer experience at restaurants. A better customer experience means a higher customer retention rate. A 2017 Deloitte report showed that a positive experience will encourage 60 percent of guests to be more frequent customers at a restaurant. It also means more revenue and better customer reviews. A Salesforce survey revealed that 67 percent of customers will pay more for a great experience. The benefits of a better experience are hard to ignore, and restaurateurs need to employ new methods to get more revenue and repeat customers. The foundation for a top-notch dining experience is a top-notch staff that is highly engaged and committed to delivering that experience. This operational mindset makes every single staff member feel valued and even more invested in delivering a great customer experience. Deloitte then asked diners to allocate 100 points among the five factors. With 34 points, the most important factor was “Engage Me.” However, only an average of 46 percent of diners were either “very or extremely satisfied” with a restaurant’s and staff’s overall engagement efforts. 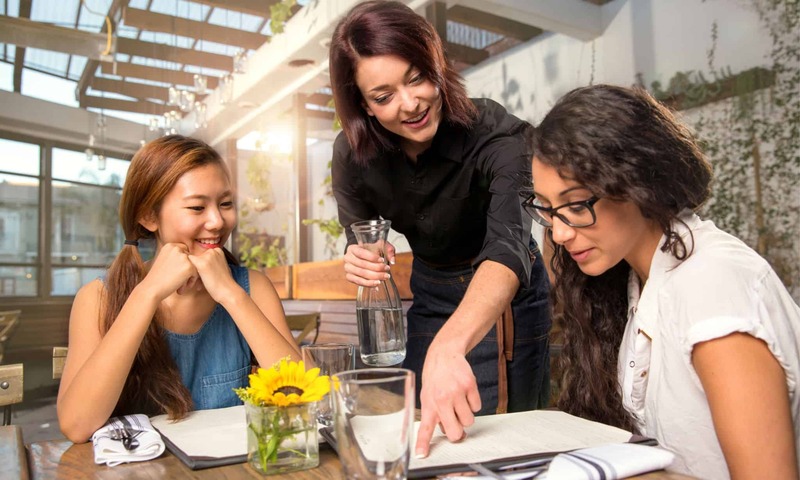 To increase that satisfaction percentage, restaurateurs will need to create an engaging staff, and that starts with creating different engagement approaches. This could be in the form of an internal mentorship program, which bridges the gap between veterans and new hires while also providing a more intimate channel for feedback. You can also hold team-building activities, special events, or even encourage them to provide suggestions on how to improve different parts of the restaurant experience. Having these methods in place show that you care and value each employee. That investment in their well-being is then reciprocated in their interaction with customers, which is now highly motivated thanks to your active engagement. Any restaurant can have great food, but a major factor that separates great restaurants from the rest is the personalized experience for each customer. A 2016 OpenTable survey revealed that 95 percent of diners would return to a restaurant “if the staff catered specifically to their personal preferences.” In addition, 70 percent want to see a similar personalized dining experience at a casual restaurant. There are a number of ways to make every diner feel at home at a restaurant. Wait staff can address each diner by name or make suggestions for dishes based on someone’s dietary restrictions. You can also remember the drink orders of returning customers. The Deloitte study revealed that the main factor in a diner’s restaurant experience is engagement. Personalization efforts drive this process home by setting a tone of familiarity and increased value for every customer. Restaurant reviews are influential to 55.5 percent of consumers, which shows just how important it is to gather and respond to reviews. High-quality reviews also mean a better ranking and exposure on local listings like Google or Yelp, but the main benefit of reviews may be that they provide incredible customer experience data. A great example of this data in action involves the restaurant chain Hwy 55 Burgers, Shakes & Fries. 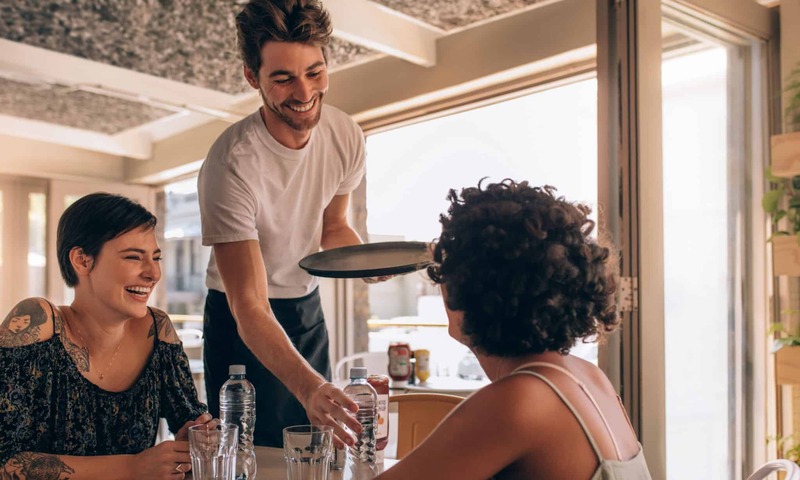 By reading and analyzing customer review data, the communication team found that waiters and waitresses took too long to greet customers after they sat down at their tables, which became a major source of negative reviews. With review data, the company was able to find hidden pain points in the customer experience, which allowed the company to implement improvements in its staff training and onboarding efforts. Reviews are so valuable for customer experience data because they provide “unstructured data” where the customer can say anything they want, and they provide the most accurate feedback that isn’t affected by the same structural biases that impact satisfaction surveys. Food service companies with the right tools can analyze the text of all their reviews to find trends and highlight recurring negative or positive keywords. The foundation for increased customer retention and revenue starts with creating a great dining experience. An experience that 10x better than the competition will be noticed by customers who will write reviews and promote the restaurant far better than your own marketing efforts. By maintaining and improving the experience any restaurant can beat out the local competition and have customers lining up outside the building just to get a seat. the blog is very interesting to read about the five clear ways improve guest experience restaurant. it will be much useful for us. thank you for sharing the blog with us. please keep on updating.